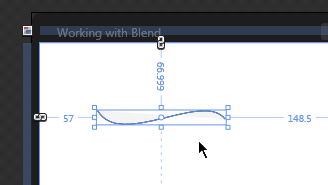 You can add points to an existing Path object in Blend by using the Pen tool. Start by selecting the existing path. First, click on the Selection tool in the tools panel. Then left-click to select the existing path. 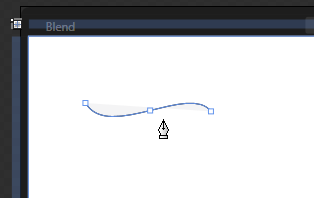 Now, click on the Pen tool. At this point, you can add points to create a new Path object, or add points to the existing Path. You’ll notice that if you hover the cursor over the existing path, it changes so that it include a little “+”, rather than an “x”. The “+” indicates that you can add a point to the path. If you left-click on the path, you’ll add a new point at this location on the curve. You can also delete existing points by hovering over them and left-clicking.